A funny platformer, in which we control the title piece of meat. Our untypical hero has to save his girlfriend by going through more than a hundred extremely varied and difficult levels. 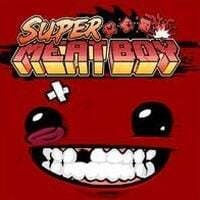 Super Meat Boy is a rather unique arcade platform game, derived from a free Internet mini-game called Meat Boy. We assume the role of a small, animated, constantly bleeding, cube-shaped lump of flesh. Our protagonist sets out on a dangerous journey to complete a very important quest – he has to save his beloved one, who was kidnapped by a ruthless crime lord, Doctor Fetus. As Meat Boy, we visit a number of perilous locations, such as sawmill, salt factory, or even hell itself. The developers created an incredibly dynamic and challenging platformer which is bound to please all ambitious fans of the genre. The protagonist moves in a specific way – he can, for example, bounce off the walls and use this ability to scale even very large walls. The creators prepared over 300 unique single player levels, in which, apart from puzzles, a plethora of traps, and lots of arcade challenges, we have to face powerful bosses. The campaign is divided into six chapters. Super Meat Boy contains many hidden and additional elements for the player to unlock and find. The visuals help keep things on the morbid yet humorous side – the protagonist is a bloody beefsteak, so he bleeds profusely while performing his stunts. Other graphic elements, however, have been thoroughly polished for a nice visual experience.